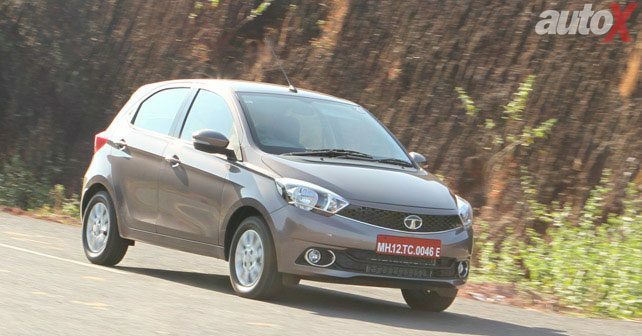 One look at the Tiago is enough to have you convinced that this is unlike any other Tata car ever made. The smiling, honeycomb grille gives the car a happy face at the front. The big, swept-back headlamps look modern, while the rounded bumper looks neat. Even the wheels fill up the arches well along the side, and the sharp waistline adds some muscle to the design. Also, the upwardsweeping window-line gives the Tiago a sporty appeal. The tail gate is beautifully shaped, and the tail lights have a nice angular look, while the lower half of the bumper has been blacked-out. We also found the roof-mounted spoiler quite cute. The cabin is well designed and has a good finish to it as well. It feels a bit more premium now. The quality of plastics, and the seat fabric are all top-notch. The finish on the two-tone dashboard cannot be found on some cars in higher segments. Then there's the steering, that feels nice to hold, while all-round visibility is great too. Sound quality from the Harman-developed infotainment system is very impressive from the four-speaker and tweeter setup. You also get USB, Bluetooth connectivity and aux-in for audio streaming. And there's the Juke Car app that lets each individual add songs to the playlist on their mobiles that should also be paired with the audio player. Space at the front and rear is good, thanks to the well-cushioned seats that provide decent under-thigh support. The 240-litre boot can swallow in lots of goodies too. The Tiago comes powered by a 1.2-litre, 3-cylinder Revotron engine that makes 83bhp and 114Nm of torque. And we're behind the wheel of the one paired to a 5-speed AMT gearbox. The typical three-cylinder thrum is evident, and there are vibrations that can be felt as well. Overall refinement is good though, but things could improve on perhaps a face-lifted version of the car. You also get two driving modes here: City and Sport. The AMT works well alright, but is slow in responding when you're light-footed on the throttle. Floor it however, and the Tiago darts forward in an uncomfortable manner. Putting it in Sport mode, allows for better acceleration. Ride quality is a little on the firm side, but the 14-inch tyres deal will road undulations without any fuss. 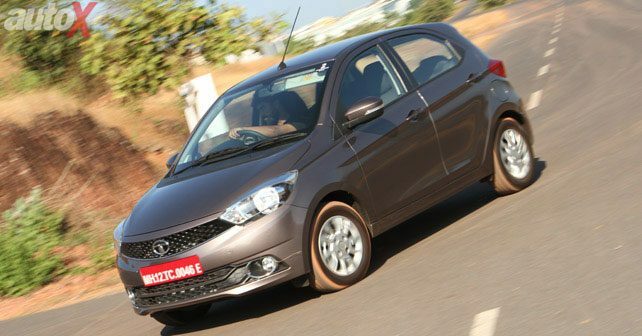 Also of particular interest to us is the way the Tiago tackles corners, and provides great grip as well. Stability at high speeds is reassuring, and the weighty steering instills some confidence in the driver. The Tiago is the result of a well-engineered car. As mentioned in our Tiago review, it looks chic, comes loaded with features and has a very welcoming, upmarket cabin. It also deals with bad roads in a way very few cars can at this price of ₹ 4.79 lakh and ₹ 5.39 lakh (ex-showroom). 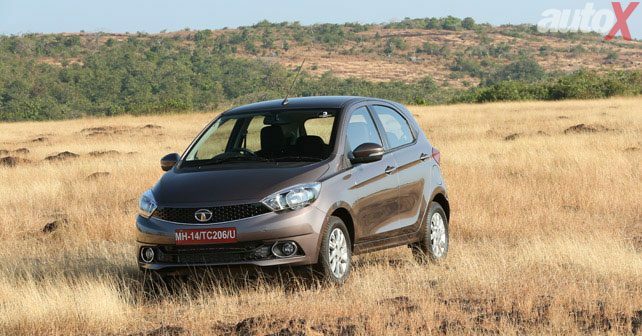 The Tiago comes across as a great value-for-money product and is sure to give Tata a reason to be proud. 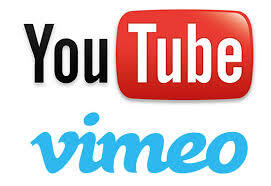 Do look out for our in-depth Tiago car review to find out more.